The E.B.B. 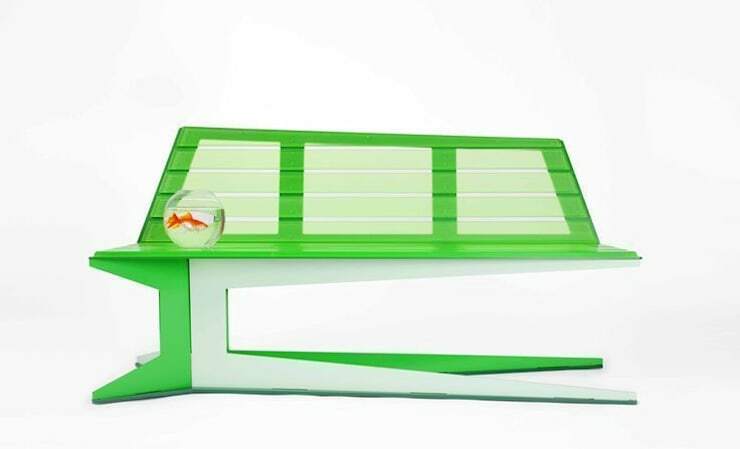 bench challenges preconceived notions. 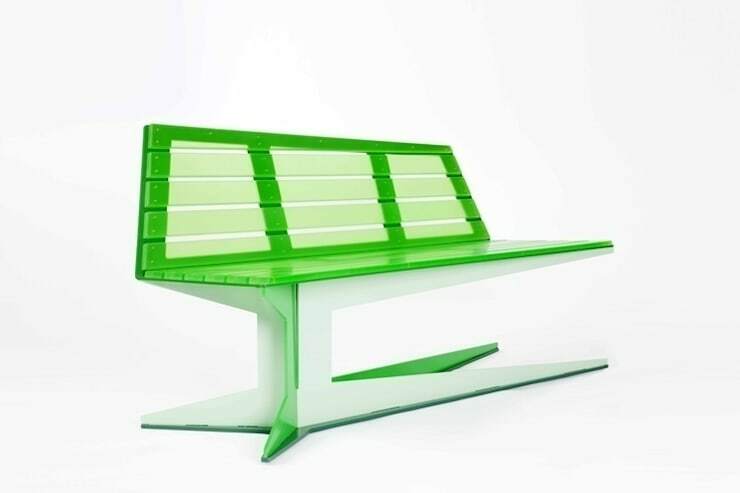 In this design, the bench’s function is left untouched, however its recognisable and familiar aspects (the four legs) are omitted. All the forces are channelled into its one leg, and are supported by its metal base. The challenge presented by this bench is one of balance. The E.B.B. 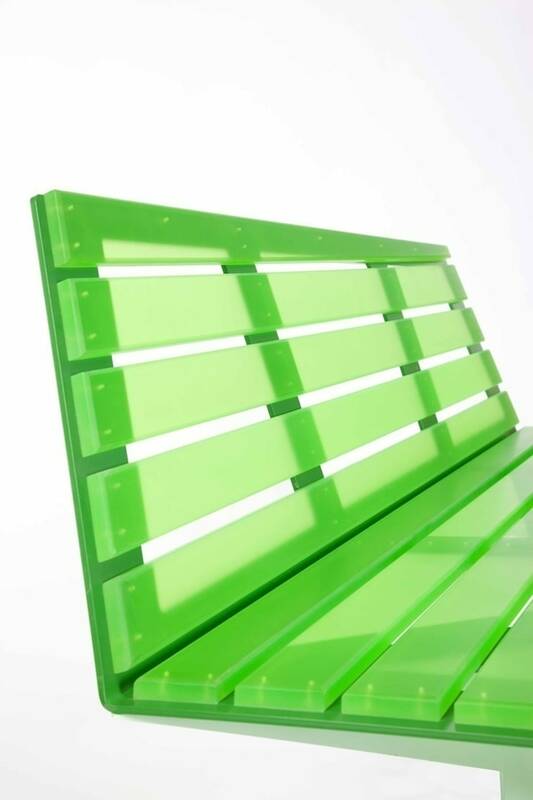 consists of three steel components, the surfaces of which take on different colours depending on the angle of the light. The use of three different hues accentuates these surfaces even more. The E.B.B. is constructed out of 2D plates, and is CNC-cut. The acrylate lends transparency to the construction, rendering the lines clearly visible and recognisable.